The 2018 SAFE Board of Directors is an exceptional group of people who volunteer their skills, time, and expertise to making SAFE a strong and vital nonprofit organization. Our Board of Directors is entrusted with three key responsibilities for SAFE: advocacy, fundraising, and strategic governance. Over the past four years, the many individuals who served on the SAFE Board were instrumental in securing the lease of our current home, and current and future members will be critical to the success of our plans to purchase a permanent home for the organization. Board members also provide essential guidance and support to the Executive Director, putting their professional expertise to work to ensure that SAFE is run like a business, with transparency and sustainability for the future. William “Andy” Carrel, Google Inc. The Board of Directors accomplished much during 2018. With the guidance of Treasurer Joe Schick, the 2018 organizational budget was created and approved by the Board. An investment plan for management of emergency and surplus funds was designed and put into place. And the organization’s Annual Report was re‐imagined with the help of the Executive Director to better communicate our accomplishments to our donor and supporters. The Board also worked with the Executive Director to secure and approve funding for some special projects for the farm as well as the creation of a new staff position to assist with development and event planning. Board development work continued in 2018 with the creation of a new board work plan, outlining areas of focus over the course of the year, and a coordinated schedule of meetings. Capital Campaign preparation planning took front and center during 2018, with significant efforts in messaging development led by Barb Ferderer and Maeve Harris. HR planning was also a crucial focus in 2018. Under the leadership and expertise of Deanna Thronson, a number of necessary documents are now under development for compliance guidelines as well as employee and volunteer handbooks. And tech gurus Richard Duncan and Andy Carrel made significant progress toward securing support for a wireless network at Safe Harbor Stables that will allow us to operate security cameras and more. All members of the Board participated in the planning and execution of SAFE’s annual dinner auction, Heart of the Horse, and helped propel that event to its most successful year ever, raising over $150,000 for the horses at SAFE. 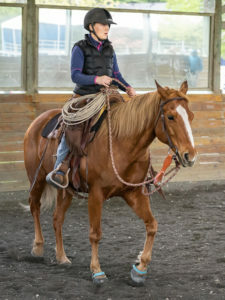 The 2018 SAFE Benefit Horse Show was another successful fundraiser for the group, netting close to $30,000 for the horses. 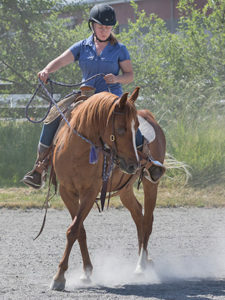 Board member Jeannette Parrett went above and beyond to make our 12th annual show a success, lending her horse show expertise (and three solid days of hard work) as the Show Secretary. 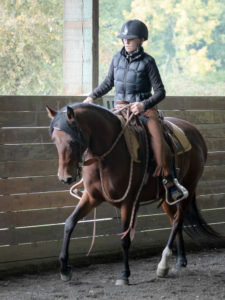 Special congratulations go out to Board member Barb Ferderer who adopted SAFE horse Timmie, bringing this handsome hunk home to join Anakin and Kai at her gorgeous farm! In 2018, we said farewell (but not goodbye!) to two members of the Board. Barbara Gordon stepped down from the Board mid‐year, but has remained a SAFE volunteer as an Assistant Barn Manager. And Dec 2018 marked the end of Maeve Harris’ term of service as a Board Member, and three years of stellar contributions to the organization. Maeve’s focus as a Board member has always been the health and happiness of our volunteers, and she made it possible for the organization to show them gratitude by hosting the 2017 Volunteer Appreciation Party and providing her stunning artwork as end of year gifts. We are so sad that Maeve has stepped away – she’s been so vital to the success of this Board, and she will be missed by all very much for her thoughtfulness, her intelligence, and her talent. Thanks again for all that you’ve done to make SAFE strong and healthy and heartful. We wish you the very best with your new farm!